Nigella Kitchen, one of our favourite cooking shows back in Manila, is in FreeView! 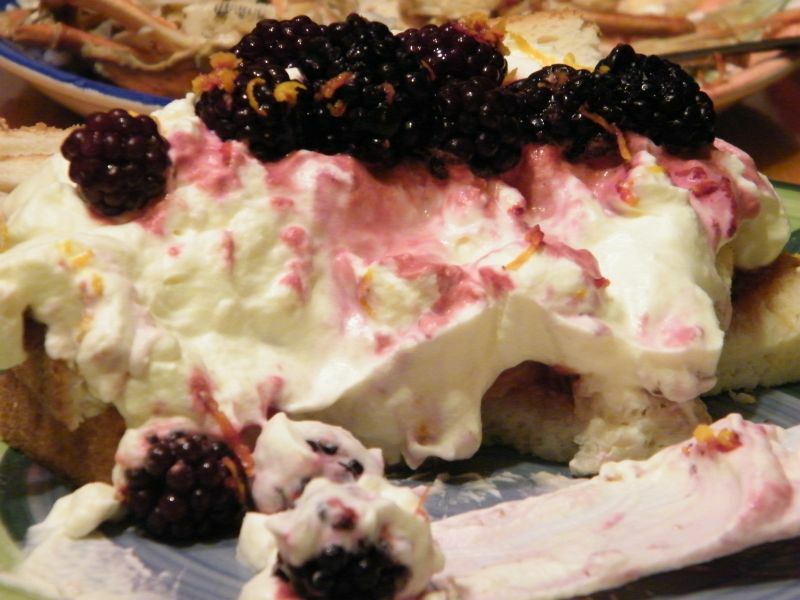 We watched the first episode a couple of nights back, and the first recipe she did was a light and fruity dessert that's so easy to make I did not have to write it down to recall how it was made. 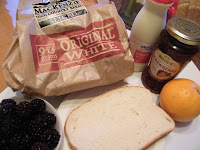 The only concern I had with this recipe was that the bread she used looked extra special, not the type we usually buy. When Nigella sliced the loaf, it looked a lot like cake! But in a curious twist of the day, I found myself having breakfast the next day with the yummiest loaf bread I've had so far. My wife bought some good quality bread! Nigella's recipe immediately came to mind and so right after work, I bought cream and frozen berries. Some friends came over and I shared this dessert with them. Asking how it was done, I explained the recipe and that it was from Nigella's show. Unfortunately, I could not recall the name of the dish. In-between mouthfuls, a friend said, "Nigella's Dessert". And so that's the name I've used. I tweaked the recipe a bit by adding sugar to the cream for a hint of sweetness. 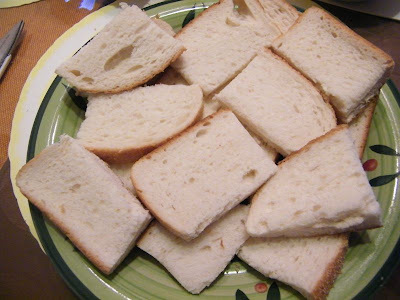 Quarter the bread pieces and spread on a wide, flat plate. 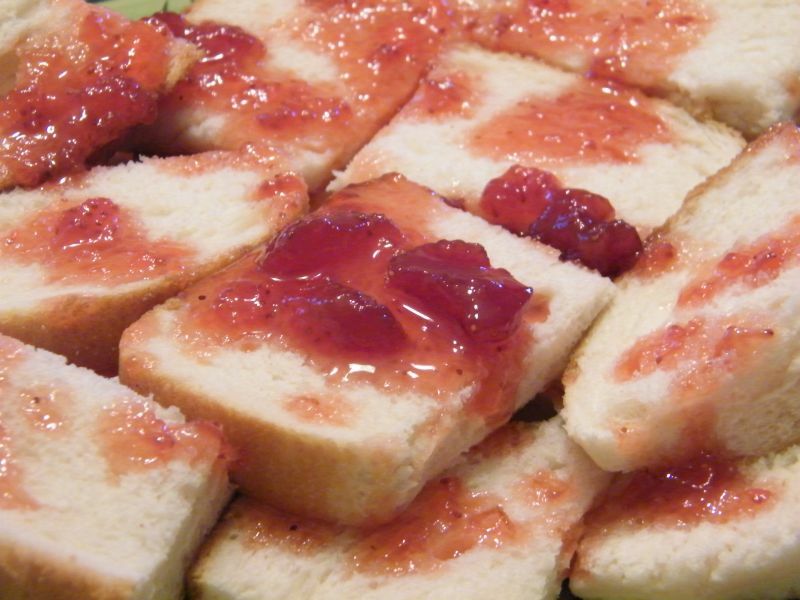 In a separate bowl, dilute the jam with a bit of water and mix. Just enough to make it runny. Pour over the bread pieces. 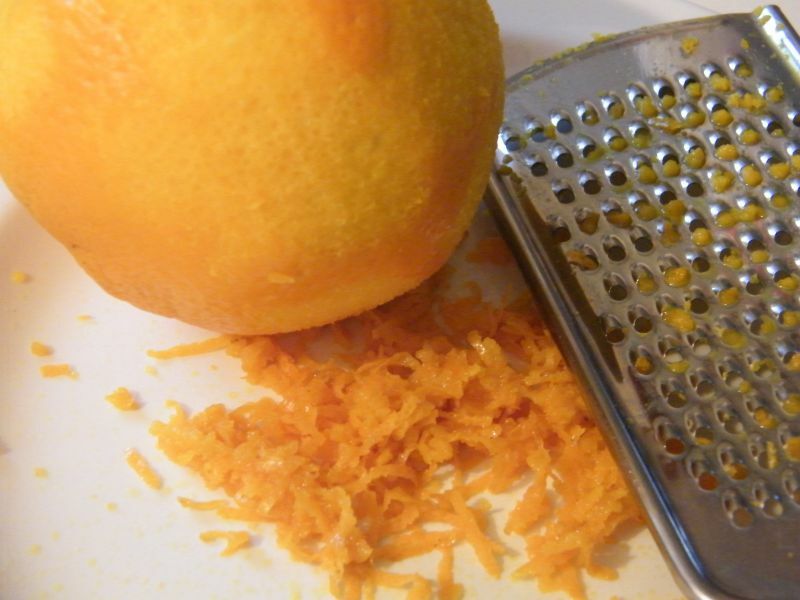 Zest the orange on a separate plate. 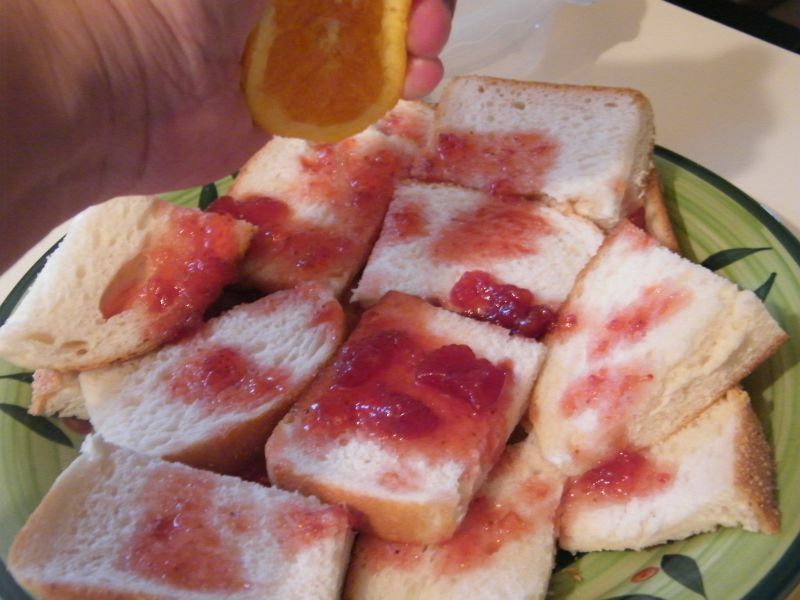 Then slice the orange into two and squeeze out the juice onto the bread slices, making sure the seeds are not included. Whip the cream with sugar added until it forms peaks. Liberally spread over the bread pieces. 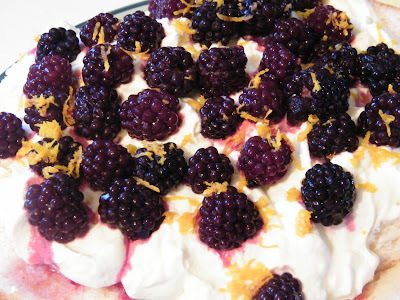 Arrange the berries on top, followed by a sprinkling of orange zest. Quick and yummy dessert! Thank you Nigella for this recipe!